January is the biggest month for resolutions and goals. Most of these resolutions involve money and/or fitness. The start of the year is a great time to reassess your life and make changes to your diet and fitness. This is why the fitness industry is often booming during this month as many people sign up for new memberships. 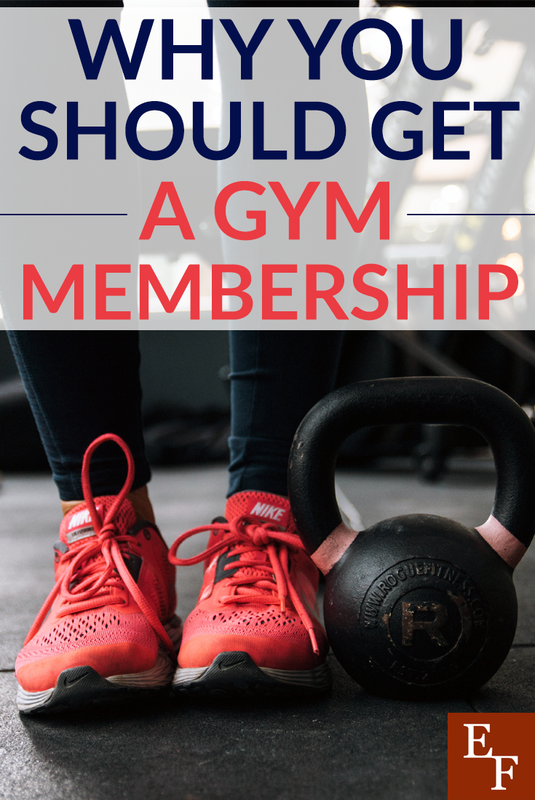 While you may be hesitant to add an extra expense to your budget, this could be the perfect time to get a gym membership subscription. Gym memberships aren’t as expensive as you would think. This is especially true this time of year. There are tons of discounts being promoted. You can find plenty of options for well under $50 per month. Plus, the more you go to the gym, the more you will get out of your membership. Lots of franchises and smaller gyms are offering new year discounts you could take advantage of. For example, Planet Fitness is running a special where you can put just $1 down and pay $10/month for a membership. Anytime Fitness usually charges around $40/month for their basic membership. If you go to the gym at least 3 times per week, that only adds up to $3.33 per workout session. However, Anytime Fitness is also offering a new year special. You can start working out for just $1 for the first month and receive a free personal training session. From January 1 to January 30, all Life Time Fitness locations will host the Commit to Fit movement for members and non-members, which includes promotions like Yoga Week, Studio Week, and Cycle Week. If you choose to become a member during this time, you’ll receive special pricing. Xsport Fitness also has a $10/month basic membership and they are offering a $0 enrollment fee for premium memberships this month ($35). If you need extra help and accountability, you may even be able to score a discount on private personal training during this time. Check out the gyms in your area to see which offers they are running this month. Another reason why you might want to hop on the gym membership bandwagon this year is that your motivation will be high. This is usually the case for most people who set exciting goals for the new year. Maybe you want to lose weight, prepare to run your first 5k, build up some more muscle endurance. Regardless of your health and fitness goals, you’ll be very motivated during this time so why not maximize your results by getting serious and taking advantage of discounted gym memberships and personal training? Getting started now for cheap will also allow you enough time to create a positive habit. Generally, you need to get into the habit of working out if you want to keep up with it during the times when your motivation is not so high. It takes about 90 days to develop a new habit and increase your chances of sticking with it long-term so you can see results. Finally, you might find that you benefit more when exercising outside of the home. Do you really need to pay for a gym membership? No. But, if you don’t have the discipline or drive to exercise at home, you may not make any real progress throughout the year. I learned this the hard way. I cut my gym membership a few years ago and found I couldn’t really exercise at home. It was weird because I bought weights and a mat, but whenever I got home from work I would always make an excuse not to exercise. Or, I’d actually start working out then cheat myself and cut it short. Once I got a basic gym membership at my local park district for just $36/month things started to change. I still have to schedule a time to go work out and motivate myself, but since I was paying for the gym I felt obligated to go a few times a week. I also started taking group fitness classes which were included in my membership. During the group classes, I pushed myself to complete the exercises just like everyone else. I also met other people who I could work out with at the gym as accountability buddies. Leaving the house and working out just makes me feel more productive and energetic. I always tell myself that if I can just prioritize my workouts and make it to the gym, I’ll feel much better and more accomplished. I like to stay active by taking walks and riding my bike. But, I don’t really trust myself to have the willpower to do those things on a set schedule. If you have a similar experience, you may really benefit from an affordable gym membership too. It’s important to put your health first at all times. You only get one body, and sometimes you have to invest time and money into it. That said, if you don’t actually think you’ll make good use of a gym membership or happen to fall off the wagon and stop going to the gym, there’s really no reason to keep paying for the subscription. At that point, it will just be another unnecessary expense. There is more than one way to get fit so you have to decide what will work best for you. However, if you think you might benefit from having a gym membership, now is the perfect time to try it out without losing much on your end. Do you have a gym membership? Why or why not?